John Brown was a controversial figure who played a major role in leading the United States to civil war. He was a devout Christian and lifelong abolitionist who tried to eradicate slavery from the United States through increasingly radical means. Unlike most abolitionists, Brown was not a pacifist and he came to believe that violence was necessary to dislodge slavery. He engaged in violent battles with pro-slavery citizens in Kansas and Missouri, and led a raid on the federal munitions depot at Harper’s Ferry. Although the raid failed spectacularly, it helped precipitate the Civil War and turned Brown into a martyr for the abolitionist cause. 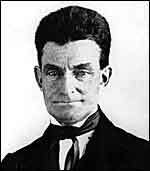 John Brown was born in Torrington, Connecticut on May 9, 1800 into a deeply religious family. The family was led by a staunchly anti-slavery father, Owen Brown, who was an agent for the Underground Railroad. Brown grew up in a frontier Ohio town in which whites were the minority and where his father taught him that all people should be treated equally. When John was 12, he witnessed the beating of a slave boy. This violence would have a profound impact on him and would help lead him to his fanatical opposition to slavery. Brown had seven children with his first wife, who he married at the age of 20. After she died in 1832, he remarried and fathered 13 more children. He moved his family to several northern states and attempted to earn a living by working as a tanner, land speculator, and co-owner of a wool merchant company. None of these enterprises succeeded and he declared bankruptcy in his forties. Abolitionism would become his overriding concern. Even though he was of modest means, he helped fund the publication of David Walker’s Appeal and Henry Highland Garnet’s “Call to Rebellion” speech and he gave land to fugitive slaves. In 1849 Brown moved to the black community of North Elba, New York because the residents there were struggling to prosper and felt isolated. In 1851 he established the League of Gileadites, an organization that worked to protect escaped slaves from slave hunters. After Congress passed the Kansas and Nebraska Act in 1854, five of Brown’s sons left for Kansas, and he would join them the next year. He and his sons were heavily involved in “Bleeding Kansas,” defending the city of Lawrence, Kansas against pro-slavery raiders from Missouri. Brown then led a raid into the pro-slavery town of Pottawatomie Creek, Missouri, during which five pro-slavery men were killed. Brown moved back East and began planning and fundraising for a slave insurrection that he would lead. On October 16, 1859, he and 21 men raided the federal arsenal at Harper’s Ferry, Virginia, on the theory that slaves would rise up against their masters when word spread of Brown’s actions. Although Brown gained control of the arsenal, the slave rebellion failed to materialize. Brown’s rebellion was swiftly crushed when U.S Army Colonel Robert E. Lee and 100 Marines surrounded him. 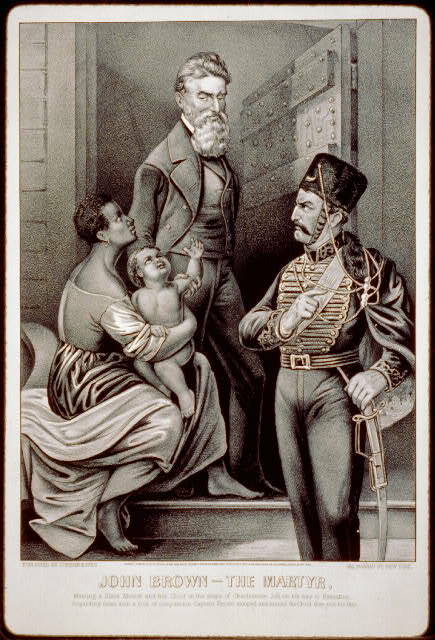 Brown was captured, quickly tried, and convicted of treason. He was hanged on December 2, 1859. Sources: Benjamin Quarles, Allies for Freedom: Blacks and John Brown (New York: Oxford University Press, 1974); David S. Reynolds, John Brown, Abolitionist: The Man Who Killed Slavery, Sparked the Civil War, and Seeded Civil Rights (New York: Alfred A. Knopf Books, 2005).